Designs for two multi-million pound road schemes to ease congestion through the Calder Valley will be revealed. Funded through the Combined Authority’s West Yorkshire-plus Transport Fund, the two programmes will look to address the congested routes and also encourage active travel by improving highway facilities for walkers and cyclists. 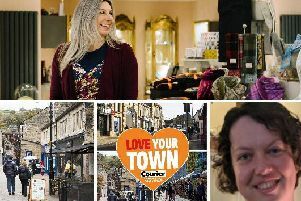 Calderdale Council’s Cabinet Member for Regeneration and Economic Strategy, Councillor Barry Collins, said: “We’re now at the stage where we can develop plans for these two improvement schemes, which will reduce congestion on these busy routes and in turn help us boost economic growth in Calderdale. Consultation runs until Friday 28 September 2018. Coun Kim Groves, Chair of the West Yorkshire Combined Authority Transport Committee, said: “Through its West Yorkshire-plus Transport Fund, the Combined Authority has committed £147 million to schemes across West Yorkshire and the City Region designed to support inclusive economic growth and job creation and the construction of new housing.